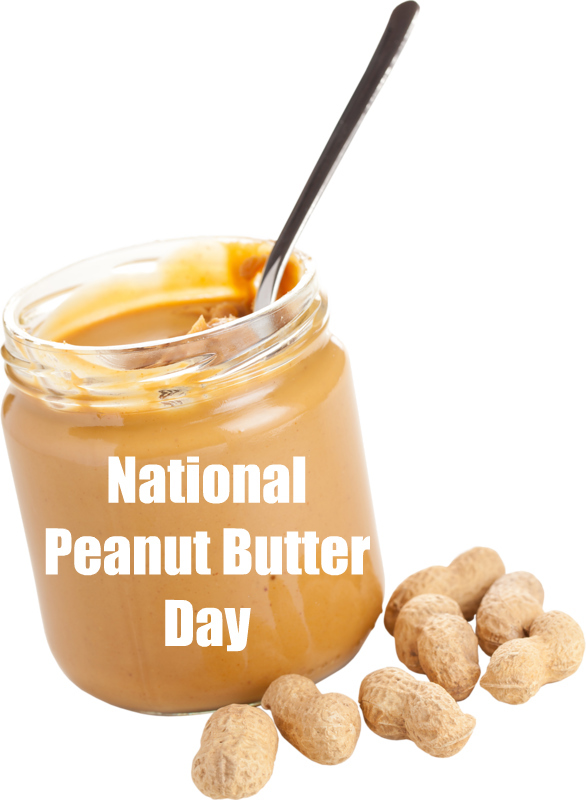 If someone had said to me five years ago that I'd be hosting an event for National Peanut Butter Day, I'd never have believed it. My son was EpiPen required peanut and tree nut allergic. On the rare occasion we had peanut butter in the house for my husband's work lunches, it was like watching a sci fi movie, with haz mat suits, bleach spray and multiple washings of utensils. Luckily for us, his peanut numbers dropped lower and lower with each subsequent year's testing, until finally he was deemed "cured" of his allergy. Ironically, he doesn't enjoy peanut butter at all, but I've completely fallen in love with it. I especially like the types that are sweetened with maple or honey. My go-to way to enjoy peanut butter is spread on slices of tart apple and then sprinkled with pumpkin seeds. Super simple. When I went searching for a recipe for this event, I was looking for something similar, simple but full of different flavors and textures. 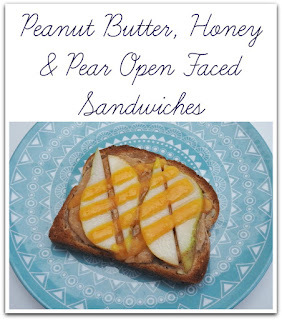 I found these Peanut Butter, Honey and Pear Open Faced Sandwiches in the November issue of Taste of Home magazine. I made some slight changes, but the spirit of the recipe is the same. I used a 12 grain bread, which is what I keep on hand. I used smooth peanut butter just due to personal preference. I was on the fence about the cheese, but I really enjoyed it. Instead of using the microwave, I popped it under the broiler. Just watch the edges of your toast doing it that way! This would definitely be awesome with apples too. Thank you so much to L.J. for sharing her recipe, it's a keeper! Be sure to go and check out what the other Festive Foodies are serving up for #NationalPeanutButterDay by clicking the links below. These look delicious and I happen to have some perfect pears to make this today! Growing up my favorite after school snack was a slice of potato bread spread with peanut butter, and eaten open-faced. While I still enjoy that from time to time as an adult, this version is even better! These cheese is a very interesting addition to this combination! I love the use of pears here, too. I love this idea! Easy and quick lunch or snack. PB and pears! Yes, please. I've enjoyed apple, PB and honey together many times, but never thought about pear! Sounds like a must try combo! Pears and peanut butter together sounds wonderful. I love this sandwich! I bet pears and peanut butter are delicious together. I would have never thought of this combination, but it looks wonderful. Taste of Home has some many great recipes! Pear sounds like a great pairing with peanut butter and honey. Such a great pick me up snack. This sounds like an amazing snack! Peanut butter, honey, and fruit is such a great combo! I've never tried it with pears, but now I will have to! This is my kind of snacky heavenly sandwich! What a great combination of sweet and savory! I love all the flavors and textures! I love the idea of cheese on this. What a great sandwich. Such a simple, delicious lunch combining some great flavors and textures here! Thanks for the inspo!